He teed up Aeron’s number and texted: Just a head’s up. I’ve got my girl. She’s well thanks to me. Hades would have let her get jacked. You’re welcome. Aeron’s response came in minutes: H told me you saved her. For that, you do have my thanks. But you’re going to have internal body bling if you don’t return her to me ASAP. Galen: Sorry. Can’t find a single one. Aeron: I love her, and I want what’s best for her, even if I must pay for her happiness w/ my life. Can you say the same? Galen responded with a gif he’d made for situations like this. In it, he made a lewd hand gesture while the words “Look what I gave your mother last night” flashed in the center. Then he typed: Listen, Dr. Usuc Atfilosofee. I didn’t see you braving H’s wards to help L escape that bloodthirsty army. (Drop mic.) (Pick mic back up.) She’s safe, ok. And I CAN say the same. I DID protect her with my life. So be a good daddy and let your daughter spread my wings. Over and out, mo-fo. He returned the cell phone to the nightstand. He could imagine what images plagued her nightmares. Uncaring about the flare of pain, he leaped off the bed to crouch in front of her chair. 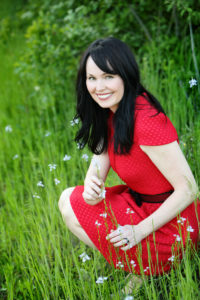 He lightly caressed her jaw, then lifted her hand to his face, holding her palm against his cheek. “I’m here, sugar.” His raw throat turned the words to smoke. A few months ago, Galen had made a deal with Hades. Every time Galen completed a task for the underworld’s top dog, he earned a reward. All he’d wanted? The demons who’d hurt Legion. He’d tortured and killed every one of the bastards but Lucifer. He ground his teeth. One day, one day soon, this beauty would rest in the comfort and security of his arms. Fear would lose its hold on her, and contentment would become her constant companion. I’ll make sure of it. She melted into the chair, a soft sigh leaving her. Pride suffused him. For once, he’d comforted rather than frightened her. 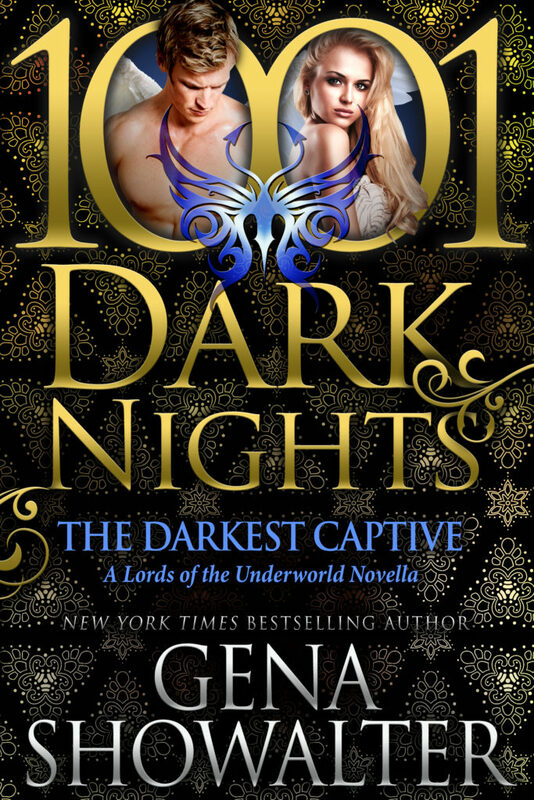 While I’ve read Gena Showalter before, THE DARKEST CAPTIVE was my first book in her Lords of the Underworld series. All of the snark, sass, and sizzle that I’ve come to expect from Gena, served up as part of a world that only she could imagine, making for an otherworldly romp that is highly entertaining. Legion and Galen are a match made in…well, they’re a match, and an odd one at that. I think that had I read more of the series, and known more of their backstory, I might have expected a longer book to celebrate their reunion. As a first-time reader of the series, I enjoyed THE DARKEST CAPTIVE very much, and found myself appreciating Gena’s craft in a whole new way. 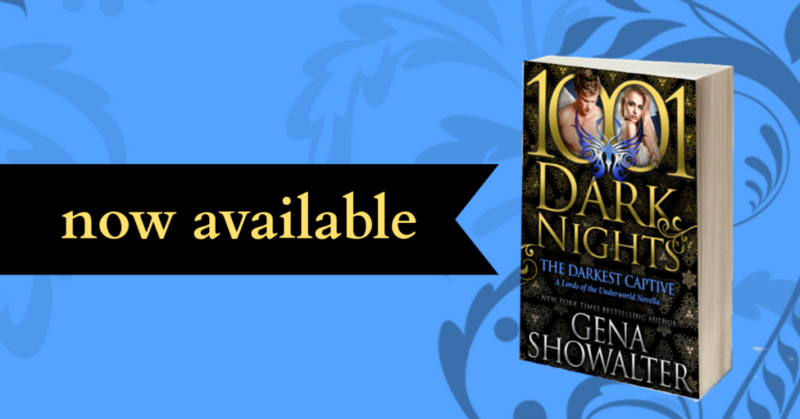 This entry was posted in 4-Star, Blog Tour, Book Review, Excerpt, Fiction, Genre, New Release, Paranormal, Reviewers, Romance, Tracey and tagged 1001 Dark Nights, 4 Star Review, Blog Tour, Excerpt, Gena Showalter, Lords of the Underworld Series, New Release, Paranormal Romance by cafemamanc7. Bookmark the permalink.